When is the best time to tell someone you love him? Answer: Before someone else does. 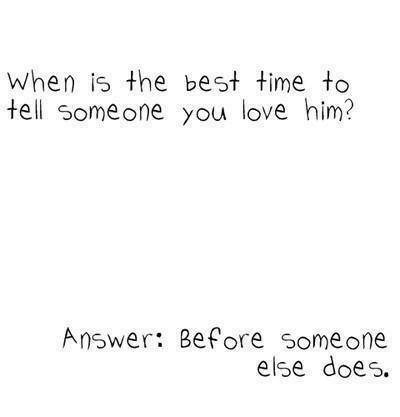 Quote : When is the best time to tell someone you love him? Answer: Before someone else does.